New Smyrna Beach Florida has some of the best waves in the entire state, making it a prime surfing location and a beach with 13 miles of pure white sand. water that allows you to float or swim to your heart’s content. It’s also full of places to shop and dine, so you can have fun exploring as well. A subtropical climate, average temps mid-70’s, makes it an ideal paradise. Summer is high season with spring and fall close behind. Winter can be a tad cool at times. Bring a wrap for dinner. New Smyrna Beach Florida is almost as popular as next-door neighbor, Daytona Beach, and close enough to make a day-trip to Daytona Beach for the race-car fans in your clan. Close by, and not to be missed, is another 24 miles of beach perfection at Canaveral National Seashore Park, so you have a total of 37 miles of gorgeous beach in and around New Smyrna Beach Florida. One of the only areas of the beach that remains untouched by tourism (although it’s a popular tourist attraction!) is Turtle Mound National Historic Site. Walk to the top of this shell mound that resembles a turtle for some great beach views (and pictures). These old ship wrecks are a diver's delight! 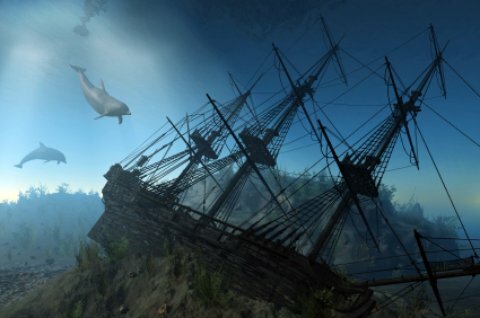 Treasure hunters, bring your high hopes and look for some treasures along the shoreline from prior ship wrecks as the ships are slowing disintegrating after hundreds of years underwater. Plan to snorkel or scuba to look for treasures of gold, silver, coins and jewels before they get to shore. Smyrna Dunes Park is surrounded by water on three sides and consists of five different ecosystems for you to walk through and learn or you can enjoy activities like fishing, boating and swimming. Surf fishing is popular here so anglers- bring your gear or rent it and come prepared to catch my favorite, redfish. Redfish is most popular in New Orleans restaurants. Divine! You can bring your dog along, too, as long as they’re on a leash. Be sure to visit Canaveral National Seashore Park for nature in addition to fabulous beaches. Wildlife, sea life, especially turtles, are featured in programs. By the way, enjoy this national park and take pride in it; it belongs to all US citizens! Take a drive down the Atlantic Flyway to look for exotic birds or just enjoy a coastal cruise behind the wheel at your own leisure. Kids of most ages: Disney World is only a short drive away, but if you want a more calm and relaxing activity, just hang out on the beach. Let the kids watch surfers or entertain themselves with buckets and shovels or build sand castles out of the sugary sand. Eating: Enjoy authentic Mexican cuisine at MI Mexico Mexican Restaurant or fill up on the best Prime Rib that will ever tickle your taste buds at Blackbeard's Inn. Sleeping: Islander Beach Resort is affordable and kid friendly. Buena Vista Inn and Vacation Apartments are nestled alongside the Intracoastal Waterway and offer a cozy stay- pets are welcome here too! There is something for everyone at New Smyrna Beach Florida so come on down and try some new things.